Several laws guide the use of email marketing and personal information for commercial purposes, including the CAN-SPAM act (US), the CASL Laws (Canada), the Privacy and Electronic Communications Regulations of 2003 (UK), and the GDPR (EU). Follow their rules to avoid significant fines (and possibly being charged with a misdemeanor). Some email clients display text from the body of your email beside the subject line; frequently, it’s the first 50 (or so) characters, so if your email starts with a greeting – “Hello, friend” – you’re missing an opportunity. For an extra chance to engage your audience, write the preview yourself (in 50 characters or less), succinctly describing your offer where recipients can’t miss it. Many email clients block images, including CTA buttons, so a significant portion of your recipients won’t see your carefully designed CTA. But that doesn’t mean the CTA isn’t useful or important – if you use appropriate alt text, it tells your audience where to click and what they’ll get when they do. Although more clickable content can increase your clickthrough rate, cluttering up your email with more text isn’t the answer – clickable images are. Images attract more attention than text, so if you’re offering an ebook (for example) include the ebook’s cover image and link it to the corresponding landing page. Create ready-made tweets: People might like your content but won’t share it because, well … they’re lazy. Many people will only act if you make it super easy – try using ClickToTweet, a free tweet link generator. Create the tweet, link it to your Twitter sharing button, and all they have to do is click. Add an email forwarding option: Another way to spread your content and increase clicks is to invite recipients to share your offer. A simple “Share with your network” option implants the idea of sharing and a ready-made CTA makes it easy. Here are some ways to make emails easier for your mobile readers. Keep your CTA above the fold. Smaller screens equal more squinting, scrolling, and zooming – some people will never make it to the CTA at the bottom. Before you hit “send” to your mailing list, send a test version to yourself and check it on your laptop/desktop and mobile device to ensure it will work properly everywhere. It's tempting to keep subscribers until they opt out, but again, don’t underestimate laziness. Some subscribers are uninterested but too lazy to opt out, so they just never open your emails – killing your open and clickthrough rates. Clean up your lists so they exclude recipients who haven’t opened X number of emails. We know email marketing can be tough, but stick it out – the right offers to the right people in the right emails will increase your opens and clicks. 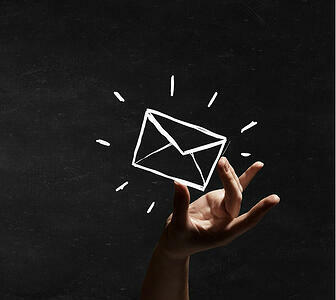 Aren’t sure you have the time to concentrate on all the little details that make an email perfect? We can help!